With a taste that’s true to its name, Sage N Sour is “herbaceous” with a little pucker to it. 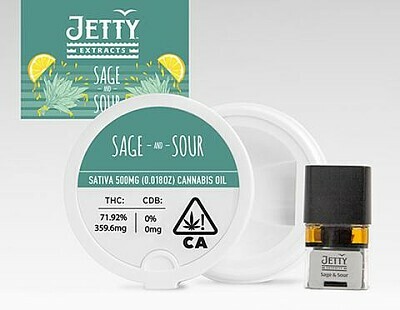 We're fans of this sativa-hybrid for its sage scent and Sour Diesel tartness and take care with preserving the strain's cannabis terpenes for introduction back into the finished distillate. 500mg cannabis oil for PAX Era.